Cheese is fattening! Cheese is for thin people! Common myths we have when it comes to cheese. While there are several variants of cheese, one of the healthiest avatars called feta enriches your nourishment quotient. ‘Feta’ is derived from the Greek word for slice. Available in a soft texture, this white brined cheese which crumbles on touch is one the “healthiest cheeses in the world”. * Energy and lower fat content: Feta is low in calories and fat than most other cheeses. According to Chef Priya Dikshit, “Due to it’s strong flavor, just one ounce as part of your meals is enough. This one-ounce serving contains 69 calories and only 5.9 grams of fat, of which 4.23 grams are saturated, while Cheddar has 9 gms of fat in a similar serving size”. Feta cheese contains up to 1.9 per cent conjugated linoleic acid (CLA) a fatty acid known to help improve body composition, decrease fat mass and increase lean body mass. * Protein: In addition to good fats and calcium, peta has a high protein content sitting at 4.8 grams of protein per 28-gram serving. Researchers have found that the protein in these products has a positive effect on insulin secretions and that the combination of calcium, magnesium, potassium, specific fatty acids and low glycemic index sugars have beneficial effects on glucose control, insulin sensitivity, and insulin secretion. This, in turn, lowers your risk of developing type-2 diabetes. 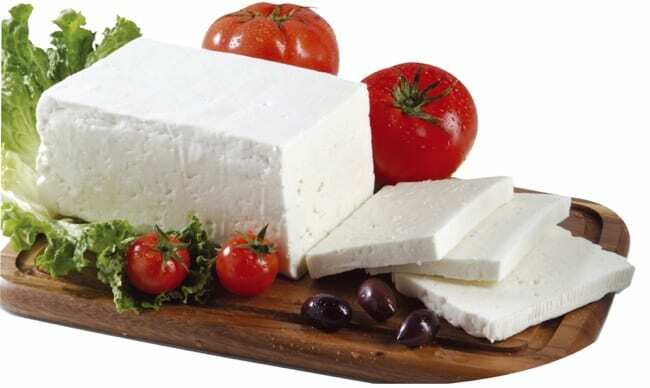 * A rich source of calcium: A 28 gms serving of feta cheese contains nearly 140 mg of calcium, making it one of the best dietary sources of calcium. Calcium is an essential component to the development and health of your body bones and tooth enamel. This calcium, in combination with magnesium and vitamin D, is a potent anti-cancer mixture, according to research. The protein alpha-lactalbumin can be found in feta that binds to calcium and zinc ions, has been suggested to have antibacterial and antitumor properties. Feta is also high in phosphorus, iron, manganese, selenium, zinc and potassium. * Vitamins: Feta cheese packs in vitamin B6, Vitamin A and phosphorous. It also has 0.6 micrograms of vitamin B12. Another protein found in feta cheese nutrition is called histidine. When histidine is combined with vitamin B6, it undergoes a molecular process to become histamine, a compound that provides anti-inflammatory benefits. * Probiotics: Feta cheese also contains probiotics, which also help the immune system fight infection and disease. It has been shown to contain lactobacillus plantarum, which accounts for about 48 per cent of its bacteria. These bacteria can help promote immune system and gut health by protecting the intestinal tract from disease-causing bacteria like E. coli and Salmonella. * Red Alert Sodium: Sodium is the only ingredient that one has to be careful about. Feta is high in sodium and contains 266 mg of sodium in a one-ounce serving, which can account for up to 11 per cent of your RDI. A simple way to reduce the salt content of this cheese is to rinse it with water before eating it.